Take a hike in the forest. Situated between the Puget Sound and Olympic Mountains in Mason County, Washington; Hood Canal is filled with world-class activities like SCUBA and skydiving, a thriving culinary scene sampling heavily from locally-sourced and wild-caught fare, an active social calendar packed with live music and community events and plenty of places to hide away from it all when you just want the world to yourself. A short jump from Seattle or Portland – your next adventure is right around the corner. Hood Canal is Washington's wild side. And it's here for you when you're ready to discover yours. Head off the grid and refresh waterside. Low tide discoveries, spirit tasting and mossy hikes, there's no wrong way to do the Wild Side of Washington. 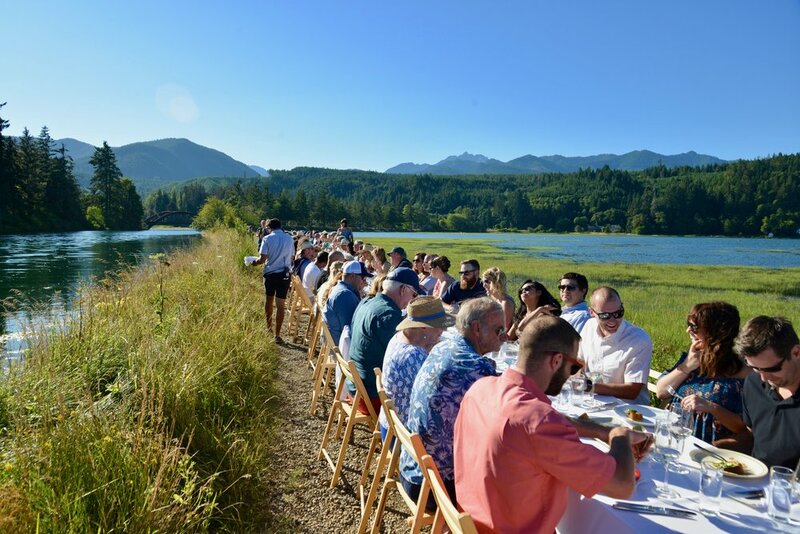 From an intertidal extravaganza to weekly music festivals there is so much happening on Hood Canal. Celebrate on the Wild Side.